What a sweet treat! This was my first Georgia Peach mystery, and I really enjoyed it. The story and the setting just ooze southern charm. 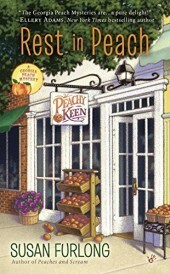 Nola Mae Harper is working hard to get her Peachy Keen shop ready to open on time when a murder occurs in town, and her best friend is the prime suspect. She knows the safe thing to do is to stay out of police business, but will the sheriff really look any farther with such a convenient suspect at hand? When it seems that she won’t, Nola and her group of friends get together to try save Ginny’s reputation, the Peach Cotillion, and a romantic relationship or two. Nola, Hattie, and Ginny are an engaging group of friends with very individual, believable personalities, and there were enough suspects and clues in this mystery to keep me guessing right up to the end. 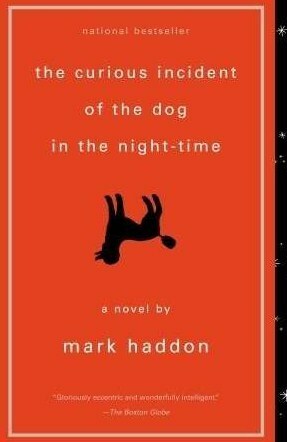 This is book #2 in the series. While I think it might have been nice to know a little more about Nola’s first case, since she refers to it occasionally during the story, you don’t need to have read book #1 to enjoy this one. NOTE: I received a free copy from the author in exchange for my honest review. All opinions are my own. I’m going to give you double the answers this week…one book I’m reading, and the 2nd is the audiobook I’m currently listening to while commuting. 2. Sorry, left my book at home today without getting my quote from page 34, so here’s something from another page…. “She just called her a backstabbing snob, that’s all. That’s not the same as threatening to stab someone”. 3. I think I would like to visit Georgia, especially during peach season, but the times I’ve visited it’s been a little too humid for me to want to live there. 2. Again, no quote form page 34….since it’s an audiobook, I’ll have to give you a random quote (or three). These do a decent job of illustrating the protagonist’s thought process. And then I thought that I had to be like Sherlock Holmes and detach my mind at will to a remarkable degree so that I did not notice how much it was hurting inside my head. 3. This story takes place in what feels like a typical small town, but seeing it through Christopher’s eyes, I’m not sure I’d want to live there. I can’t even put my finger on the reason why, but the place makes me feel a little uneasy. How about you? 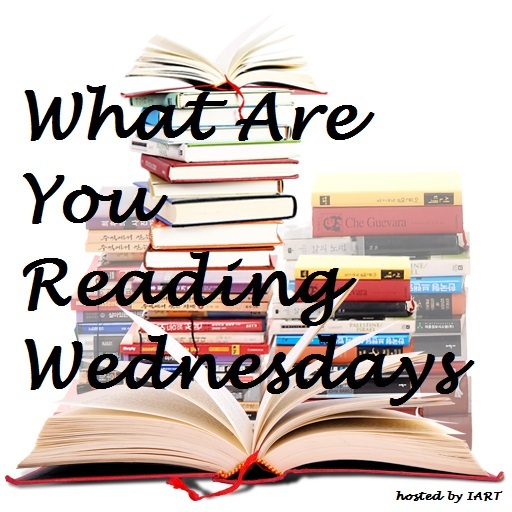 What are you reading (or listening to) this week? Top Ten Tuesday is hosted by The Broke and the Bookish. Every Tuesday they post a new Top Ten list prompt. This week’s prompt is… Ten Bookish People to Follow on Social Media. I have a separate Instagram account (@booksthething if you’d like to follow me!) for my blog, so here are 10 bookish accounts that I enjoy. Be sure to leave me a link to your own post if you have one! 2. Maes Larson – when you just need to look at beautiful book photos! Are you on Instagram? If so, leave your handle in the comments below if you’d like a follow!